Positive Psychology Coaching is a scientifically-rooted approach to helping individuals and organizations to increase well-being, enhance and apply strengths, improve performance, and achieve valued goals. Positive Psychology Coaching has a variety of tools and interventions in order to increase well – being and positive relations at work. Two different fields are offered in order to help organizations to flourish, executive strength – based coaching and team coaching educational & experiential workshops. Mindfulness is an evidence based approach, where it focuses on reducing stress and negative emotions as well as boosting well being and health. Mindfulness is the awareness that emerges through paying attention on purpose, in the present moment, and non judgmentally to the unfolding of experience moment by moment (Kabat – Zinn, 2003). Mindfulness based interventions has shown, stress and depression reduction (Kabat – Zinn, 2003), better concentration (Davis & Hayes, 2011), increasing wellness (Carmody & Baer, 2008). Executive strength – based coaching: based on positive psychology interventions, it focuses on developing strengths, managerial skills and well being to managers and executives in order to inspire and influence positively their teams. Team Coaching: interventions focuses on cultivating positive emotions, on reducing negative emotions and criticism, on teaching well being and on creating connections and meaningful relationships at work. Appreciative Inquiry: is the study of what gives life to human systems when they function at their best. This approach to personal change and organization change is based on the assumption that questions and dialogue about strengths, successes, values, hopes, and dreams are themselves transformational (Cooperrider, 2010), (ex. “Without being humble, describe what you value most about yourself, your work, your organization, Locate a moment that was a high point, when you felt most effective and engaged, etc). The 4 D Model – Appreciative Inquiry: Discovery, Dream, Design, Destiny, for managers and executives, focusing on the positive core that your organization has and developing programs to enhance the most positive potential, private sessions. PERMA model for organizations (Seligman, 2011): Positive Emotions, Engagement, Relationships, Meaning and Accomplishment. Psychometric tests on emotions, mindfulness and strengths. Cultivating positive emotions such as compassion and self compassion (decreasing criticism), empathy, trust, calmness, gratefulness and satisfaction. Reducing negative emotions and stress. 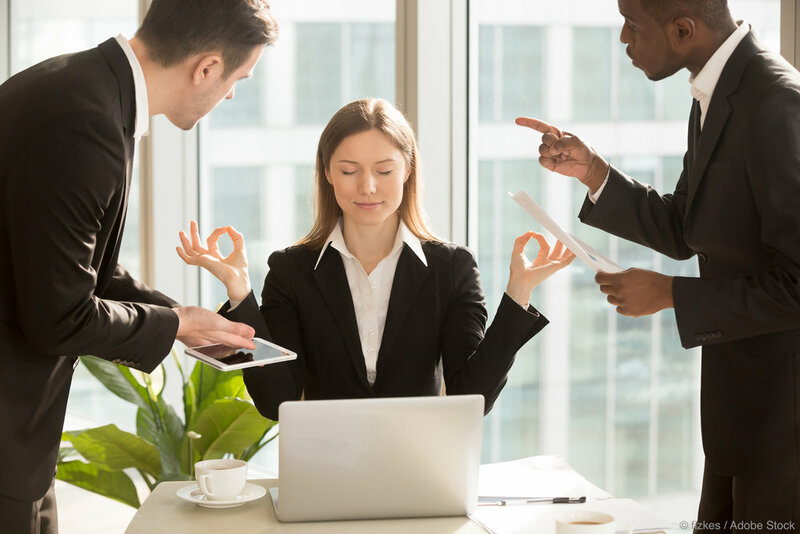 Cultivating mindful awareness at work, decreasing stress and anxiety. Advices for a healthy lifestyle. Active and mindful listening, communication skills. The 8 or 12 hours program, combines, Positive Psychology Interventions for increasing well being and positive emotions (happiness, calmness, compassion, self compassion, gratefulness), on decreasing inner critic and criticism towards others, on decreasing anger, stress and anxiety. Mindfulness interventions for self awareness of emotions and thoughts, focusing on the present moment, decreasing the phenomenon of auto pilot, as a consequence, decreasing mistakes at work, as concentration is increasing (the 8 hours program). Increasing empathy, positive relations at work, finding their strengths (psychometric test), and learning active and mindful listening (the 12 hour program). We can sent you our full program about our positive & mindful interventions. The above program (12 hours) can be applied to executives and managers. Understanding and cultivating those skills and qualities we have positive and mindful leaders, where they are capable on understanding needs and emotions, show empathy and compassion, reduce auto pilot mechanisms, becoming more calm and happy. They radiate positivity and as a consequence, a positive environment is created, where employees can explore themselves, feel more confident about their work, are more engaged, trust more their leaders, as they are feeling more valued as people, thus working better (Mills, Fleck, & Kozikowski, 2013). This approach is individual based, helping through positive psychology coaching to focus on specific goals, focuses on strengths and wellbeing and on cultivating positive traits. We use the Appreciative Inquiry, the 4D Model, the PERMA Model, the Grow Model and Character Strengths (6 – 12 sessions). Carmody, J., &Baer, R. A. (2008). Relationships between mindfulness practice and levels of mindfulness, medical and psychological symptoms and well-being in a mindfulness-based stress reduction program. Journal of behavioral medicine, 31(1), 23-33. Fredrickson, B. L. (2009). Positivity. Harmony. Kabat Zinn, J. (2003). Mindfulness‐based interventions in context: past, present, and future. Clinical psychology: Science and practice, 10(2), 144-156. Lyubomirsky, S. (2007). The how of happiness: A practical approach to getting the life you want. London: Sphere. Mills, M. J., Fleck, C. R., &Kozikowski, A. (2013). Positive psychology at work: A conceptual review, state-of-practice assessment, and a look ahead. The Journal of Positive Psychology, 8(2), 153-164. Psychologist, B.Sc. Hons, MSc, Applied Positive Psychology & Coaching Psychology, Hypnotherapist, Ct Hyp, Regression Therapist, Dip. RT, Integrative Arts Therapist, Counselor, Yoga & Meditation Teacher 200hrs.